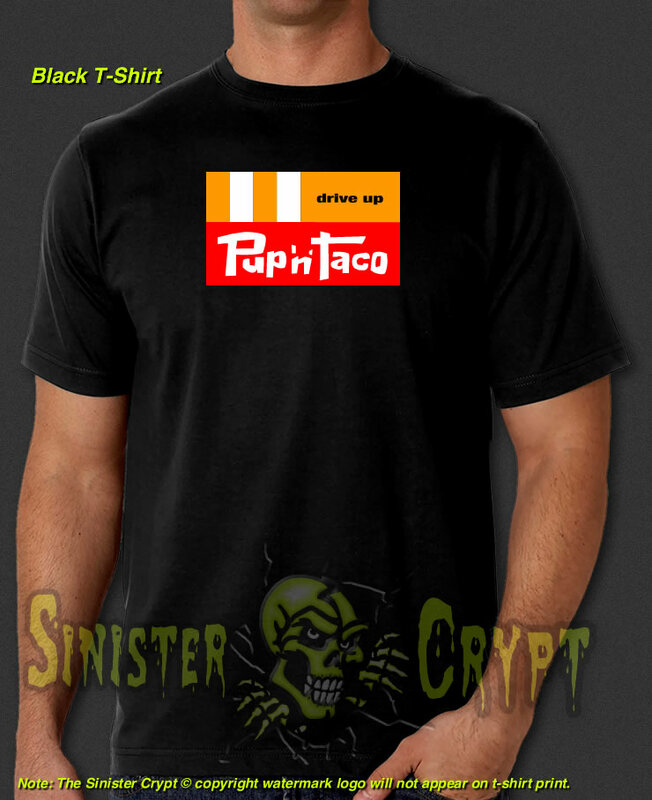 Pup N Taco t-shirt. 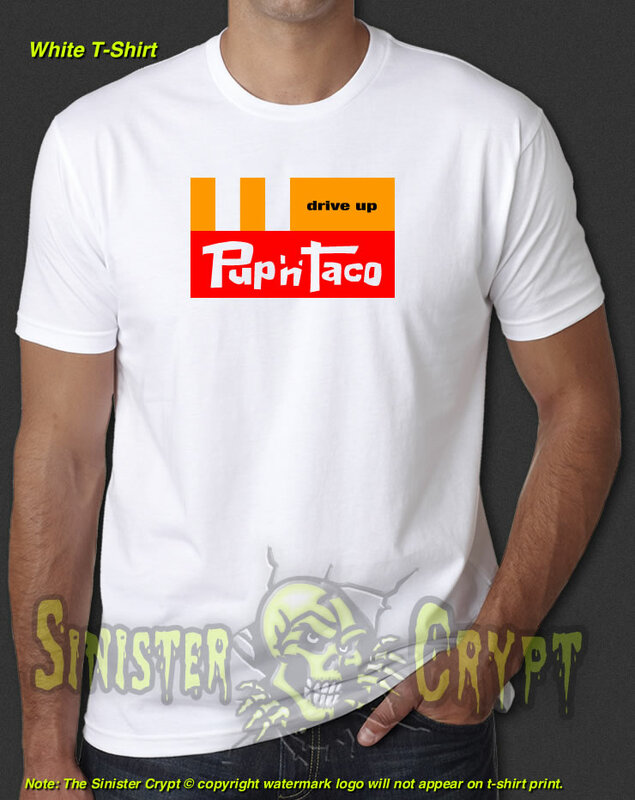 Pup 'n' Taco was a popular Fast Food restaurant in the 60s and 70s. Pup 'n Taco specialized in Tacos, Chili Dogs and slushies. The Pup 'N' Taco restaurant was also featured in the 2010 biographical movie of the all female rock/punk band The Runaways. Makes a great gift!